There are 64 reviews of Aqua Allegoria Pamplelune. Medicinal and herbaceous patchouli with a dry sweet orange. The vanilla probably is the sweetener, but it's not overt as a separate accord at first. The most intriguing part of the fragrance is the blackcurrent, which gives a whole vibrant summer hot fragrance effect. It turns into a pleasant plain stick gum. It leans more feminine, but it is unisex. I really like this one a lot as a summer citrus berry fragrance. Pamplelune opens with a energizing grapefruit scent. I wouldn't say it smells like real real grapefruit but it's well elaborated IMO. The acedity, the sweetness and the bitterness are perfectly balanced to create a sparkling and pleasant citrus scent. After about 2 or 3 hours, grapefruit hands the relay off to an aromic base of petitgrain, decorated by a hint of sweet vanilla and neroli, and it stays close to skin for another 2 or 3 hours. Pamplelune is relatively simple IMO, but efficient. A refreshing fragrance for summer outdoor activities. I'd recommend to someone who's desperately looking for a natural citrus dominant fragrance. 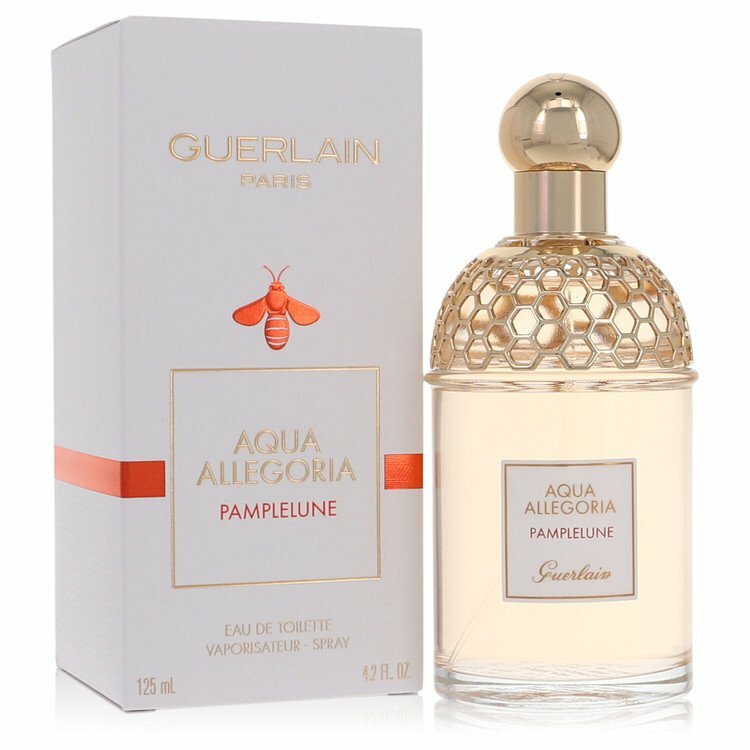 Another great showcase of Guerlain's expert craftmanship, Aqua Allegoria Pamplelune is a citrus peel blast that meshes artfully into a smooth, spicy and sweet accord of patchouli and vanilla. Cassis (Cinnamomum cassia) adds a dusty spice, and the petitgrain and neroli augments the intro tartness. Juicy, mellow and well-made, AAP is so pleasant and energizing to wear for both genders. Great for warmer weather and for casual occasions at any time of day. A re-run of What About Adam's brilliant shimmering overture of blackcurrant bud and grapefruit, this time extended with a little more fruitiness and some patchouli. It's surely derivative, but thats not the problem here. Pamplelune is spoiled by a strong chemical sillage thats probably part of a synthetic cassis accord used to replace the mega pricey real stuff. This is a shame because it negates the good work done on the rest of the profile where the sweet, the acidulous tangy and the dark woody patchouli are brought into a fine and delicate balance. No matter how good the rest of it smells, an insistent chemical whiff spoils everything. The bottom line is that Pamplelune isn't different enough from What About Adam to be thought an original work, and it lacks the material quality to pass as a substitute. An extraordinarily vivid breakfast grapefruit, it makes for a joyous trip to work. It might be pitched at women but it's not sweet and I think I pull it off well. Don't really care, it makes me happy. The dry down shifts towards vanilla. By lunchtime it is suddenly gone. 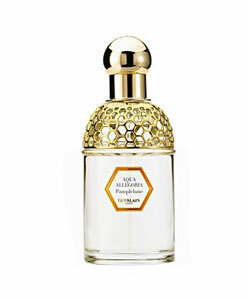 After such a fine morning that's quite ok.
GUERLAIN Aqua Allegoria 10 ML! PAMPLELUNE *SPARKLING GRAPEFRUIT!